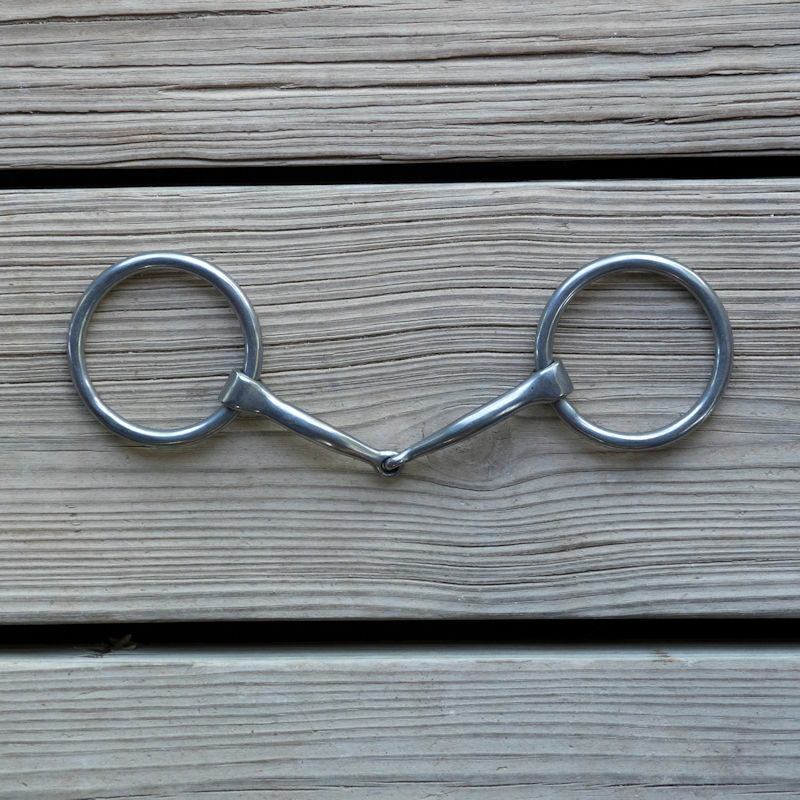 The Craig Cameron O-Ring Snaffle Bit is made of 5/16th inch steel. The rings are 2 3/4 inches in diameter. The 3/8" steel two piece mouthpiece is 5 1/8th inches wide and has inlaid copper bars to promote salivation.